With this practical and original bathroom scales, you not only have your weight in sight, but also the time of day. 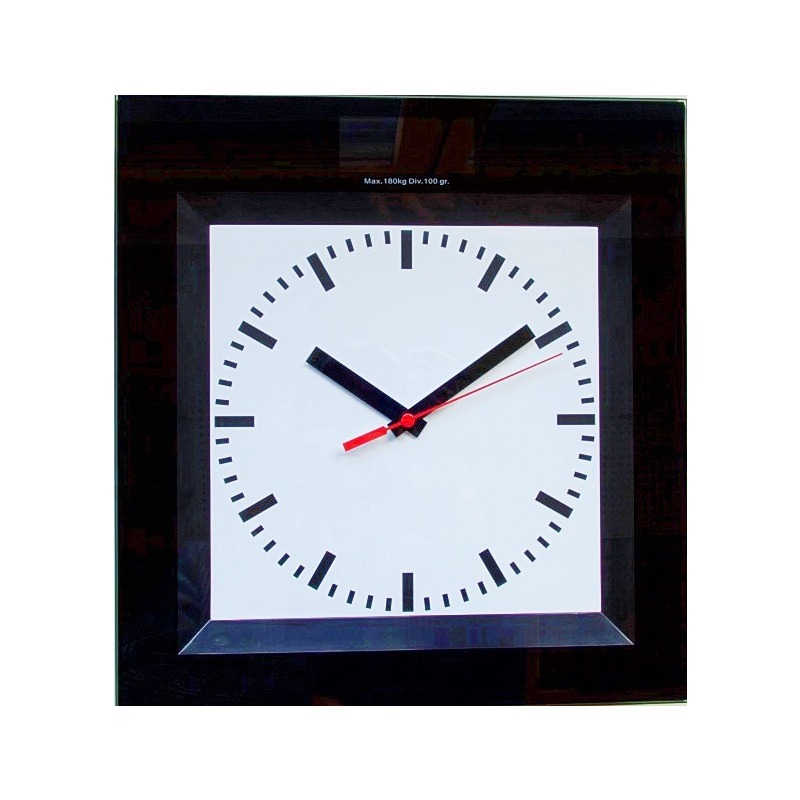 The large dial with the red seconds hand is modeled on a classic rail station clock and it takes up almost the entire platform. 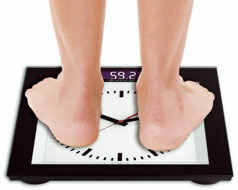 When you step on the scales, your body weight will be displayed with digital luminescent numbers. The scales switches off automatically after use. The platform is made of tempered glass for more safety.